It is not merely hyperbole when it is said the US created terrorist organizations like Al Qaeda or the so-called “Islamic State.” It is documented fact. The current conflict in the Middle East may appear to be a chaotic conflagration beyond the control of the United States and its many eager allies, but in reality it is the intentional, engineered creation of regional fronts in a war against Iran and its powerful arc of influence. It is not Western policy that indirectly spurs the creation and perpetuation of terrorist organizations, but in fact, direct, intentional, unmistakable support. This support would manifest itself in perhaps the most overt and bizarre declaration of allegiance to terrorism to date, US Army General Hugh Shelton on stage before terrorists of the Mujahedeen-e-Khalq (MEK) and their Wahabist counterparts fighting in Syria, hysterically pledging American material, political, and strategic backing. MEK was listed for years by the US State Department as a foreign terrorist organization, but has received funding, arms, and safe haven by the United States for almost as long. 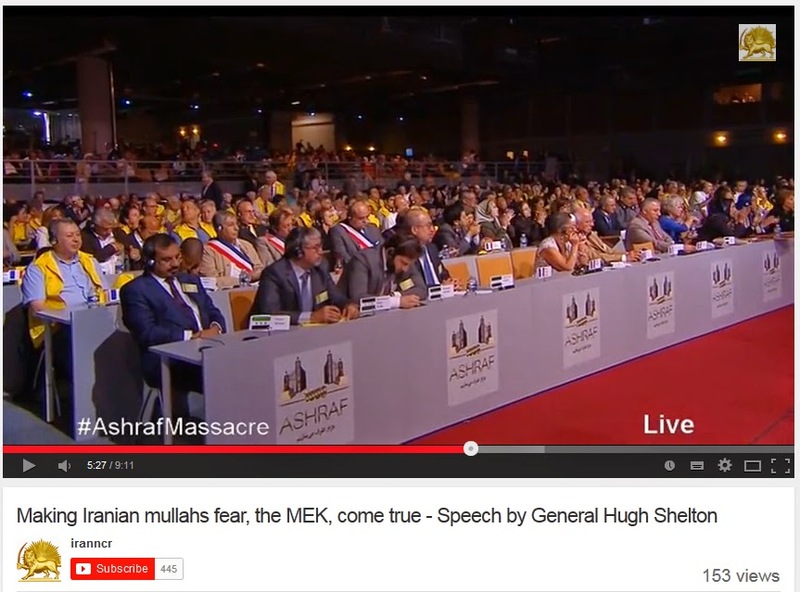 General Hugh’s speech titled, “Making Iranian mullahs fear, the MEK, come true,” was most likely never meant to be seen or fully understood by Americans. In titled alone, it is clear that US foreign policy intends to use the tool of terrorism to exact concessions from Tehran. 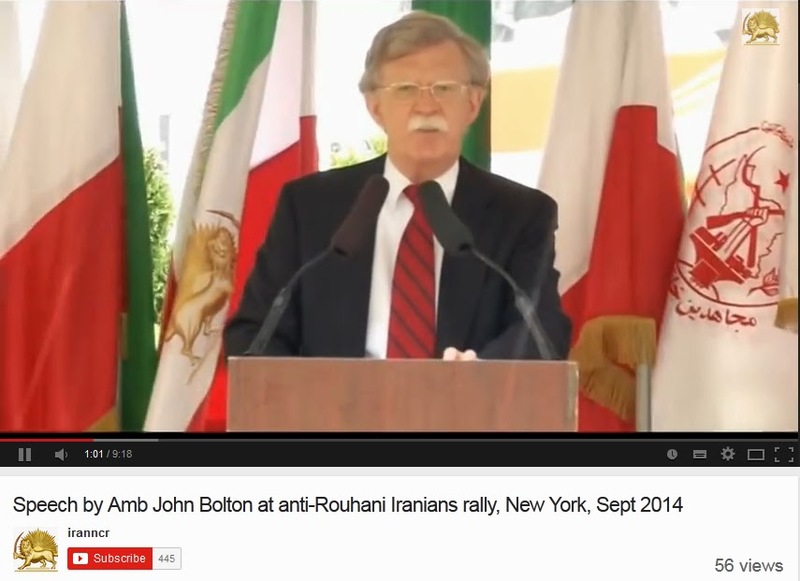 If the true nature of America’s support for terrorist organizations like MEK were more widely known, the current narrative driving US intervention in Iraq and Syria would crumble. To this day MEK terrorists have been carrying out attacks inside of Iran killing political opponents, attacking civilian targets, as well as carrying out the US-Israeli program of targeting and assassinating Iranian scientists. MEK terrorists are also suspected of handling patsies in recent false flag operations carried out in India, Georgia, and Thailand, which have been ham-handedly blamed on the Iranian government by the United States and Israel. MEK is described by Council on Foreign Relations Senior Fellow Ray Takeyh as a “cult-like organization” with “totalitarian tendencies.” While Takeyh fails to expand on what he meant by “cult-like” and “totalitarian,” an interview with US State Department-run Radio Free Europe-Radio Liberty reported that a MEK Camp Ashraf escapee claimed the terrorist organization bans marriage, using radios, the Internet, and holds many members against their will with the threat of death if ever they are caught attempting to escape. 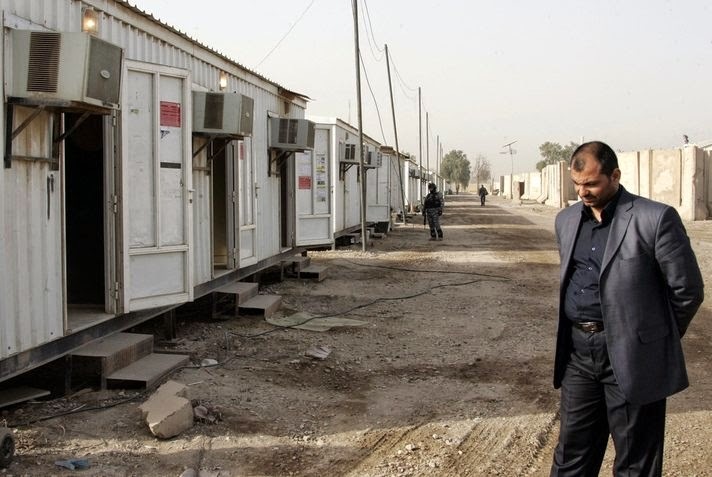 Besides providing MEK terrorists with now two former US military bases in Iraq as safe havens, the US has conspired to arm, fund, and back MEK for years in a proxy war against Iran. The M.E.K. 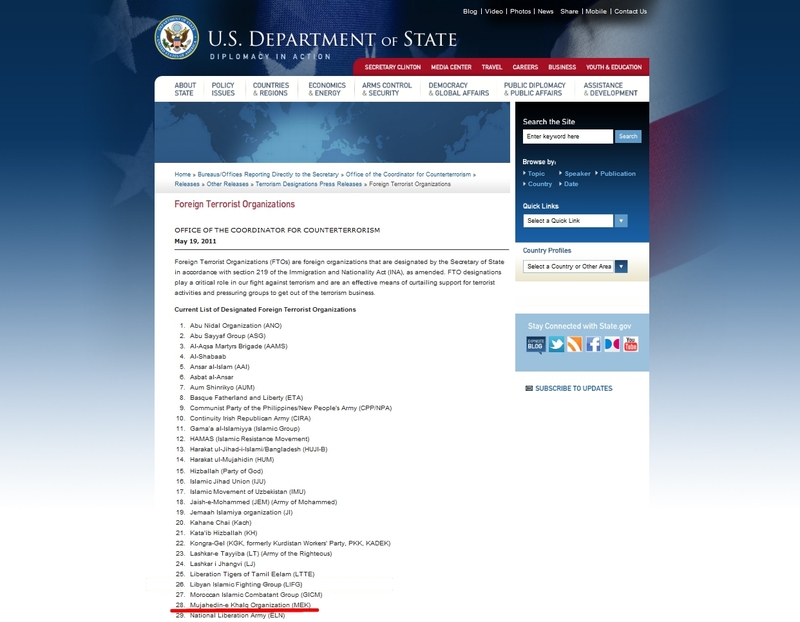 has been on the State Department’s terrorist list for more than a decade, yet in recent years the group has received arms and intelligence, directly or indirectly, from the United States. Some of the newly authorized covert funds, the Pentagon consultant told me, may well end up in M.E.K. coffers. “The new task force will work with the M.E.K. The Administration is desperate for results.” He added, “The M.E.K. has no C.P.A. auditing the books, and its leaders are thought to have been lining their pockets for years. If people only knew what the M.E.K. is getting, and how much is going to its bank accounts—and yet it is almost useless for the purposes the Administration intends. and then former US military base, Camp Liberty. 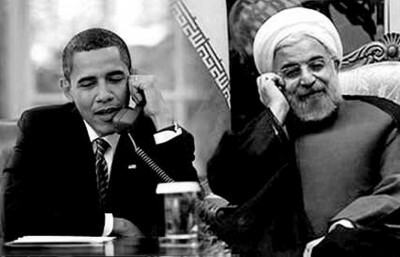 U.S. officials confirmed today that Israel has been funding and training Iranian dissidents to assassinate nuclear scientists involved in Iran’s nuclear program. Washington insiders confirmed there is a close relationship between Mossad and MEK. What it says about American foreign policy, to trick US servicemen and women into dying in far off lands to “fight terrorism” when US politicians in the highest positions of power openly pledge support to terrorism – using it as a battering ram against its enemies abroad, and failing to topple them by proxy, using their own terrorist hordes as a pretext for direct military intervention to do so – is that such policy is underpinned by nothing more than blind lust for power, wealth, and influence in senseless pursuit of global hegemony. There is no guiding principles of peace, stability, democracy, freedom, or any confining principles of humanity that prohibit US foreign policy from exercising the most abhorrent practices in order to achieve its goals. alongside al Nusra and the “Islamic State” itself. For America and the Western aligned nations and interests caught in its orbit, there is no future. Chasing hegemony for the sake of hegemony alone leaves no room for actual progress. When anything and everything obstructing the path to hegemony is seen as an “enemy” to be destroyed by any means necessary, that includes setting aside resources and attention to solving some of the most pressing issues of our time – health care, infrastructure, education, better jobs, peace, and prosperity. All of these are seen as obstacles toward hegemony, and the very same interests standing before MEK terrorists pledging America’s resources to their campaign of terrorism against Iran, are the same interests calling for and implementing austerity upon the American people to continuously fuel its foreign adventures. Failure to identify these interests blindly chasing hegemony at the cost of global peace and prosperity leads not only America over a cliff into a ravine of madness, but the entire world as well. That a US general can stand before terrorists even as the US bombs two nations in the name of fighting terrorism, is but a glimpse into this madness.